A well-well known football man, known to this parish but resident now in London, was trying to come to terms with the Irishness of the Giovanni Trapattoni situation the other night. As is common for football folk, we were discussing the current plight of the Irish team over a cool beer. The fact we were abroad and the soaring temperature demanded a cold beverage made the conversation all the more pleasant and interesting. My friend, who has been involved with Irish teams in the past, was curious as to why Trap appears to be getting so much stick in Ireland these days. He spoke, I suppose, from a relative position of strength after back to back wins for the team that Trap owns, one of them a World Cup qualifier in Kazakhstan and the other a meaningless friendly in London, meaningless that is unless your name is Robbie Brady. My friend hadn’t seen the match in Kazakhstan on live television or on any of the replay devices that are so common in the computer era so he had no idea that Ireland scored two in the last two minutes to save their bacon. Nor had he seen the Keiron Westwood save midway through the second-half that denied the home team in Astana a 2-0 lead and a certain win against an Irish side that appeared to be going nowhere fast with their long ball tactics. All my friend knew was that Ireland had won their opening World Cup fixture on a difficult plastic pitch and had followed it with an impressive 4-1 win in London in a game against Oman that featured debut goals for young Brady and the Reading centre-half Alex Pearce. Fond of reminding us on the golf course that scorecards don’t include photos of how a birdie or a bogey was assembled, he pointed out that the history books were unlikely to include match reports from Kazakhstan 20 years from now, not even mine! He had a point – as we ordered another pint – but I felt duly obliged to educate this exiled Paddy in the current ways of Irish football. 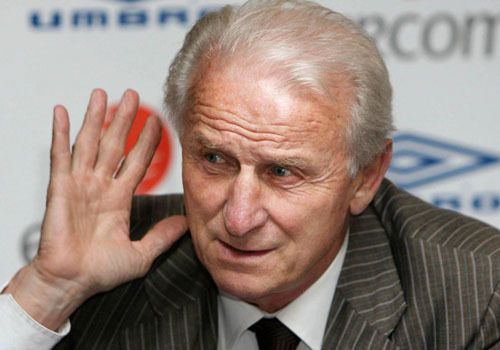 Trapattoni didn’t lose in Astana or London last week and neither did his players. But he is losing the Irish public. The interest back home in the opening World Cup qualifier was non-existent. After a summer of Olympic fervor and Paralympic passion, the average sports fan didn’t want to be reminded how average our soccer team is these days. Weeks after three successive defeats for the Boys in Green at the European Champion finals in Poland – to Croatia, Spain and Italy – Katie Taylor, John Joe Nevin, Paddy Barnes, Michael Conlan and even Cian O’Connor has reminded us that Irish sport could be cool. Events closer to home this summer proved it as well as the footballers of Donegal and Mayo and the hurlers of Galway flew the flag for the underdog. Just last Sunday, Wexford and Cork served up a veritable treat in the All-Ireland camogie final of all things, described by some as perhaps the greatest decider ever played by the ladies of this land. So international soccer is not all that high on the interest list at present, partly because Poland went so badly and partly because the manager insists on playing a game that is stifling his best young talent. The only Irish tactic in Kazakhstan was to go long – and we’re not talking Shane Long either. At least there was a bit more adventure in London last Tuesday night, probably only because there was nothing at stake and precious few senior players around. As a result the likes of Manchester United youngster Brady and even Sunderland’s social network bad boy James McClean featured against Oman. They got their chance and both took it. Brady scored one and set up two others, one for Kevin Doyle and the other for the aforementioned Shane Long. Brady got the man of the match award and McClean got the loudest cheer of the night when he came on as a substitute in the second half after serving his sentence for blasting the manager on Twitter after failing to see active service in Astana the previous Friday night. Brady and McClean both epitomize everything that is wrong about the Irish team at present and represent everything that is missing. They both want the ball to their feet. They are both clever players who want to run at defenders, who want to cross the ball, who want to play the ball into the frontmen and into space. They are not hoofers and they are not long ball merchants. They are entertainers. And that’s exactly why they won’t be in the starting team when Germany come to the Aviva Stadium in Dublin at the start of next month for the game that may well define this qualifying group for Ireland and give us a real clue as to Trapattoni’s future as manager. Asked about Brady and McClean after Oman, as you will read elsewhere on these pages, Trap praised them both but confirmed that neither is worth a risk against the Germans. The fact that he sees it as a risk to play exciting, young and inventive players against one of the best teams in the world tells you all you need to know about his mindset. It also explains why, as I said to my football friend in that Portuguese sunshine the other evening, Giovanni Trapattoni has lost the Irish public. He may be back in the business of winning games again after an embarrassing Euros but until he wins the support of the majority of the Irish fans again, not just the diehards, he is a dead manager walking to paraphrase an old saying. They may not put photos on the scorecards from Poland, Kazakhstan or London but those of us who care know what happened in those games. And those who really care know something has to change and soon -- probably the manager. GAA: There’s a fascinating documentary on the Irish language TV station TG4 this Sunday which highlights the fact that famed Hill 16 at Croke Park was originally built in 1915 and called Hill 60 after a famous World War I battle at Gallipoli when many Irishmen lost their lives fighting for Britain. It also, by the way, dispels the myth that the famous terrace so beloved of Dubs fans was built from the ashes of the 1916 Rising, which just proves you can learn something new every day. RUGBY: Ulster rugby came together to say goodbye to talented youngster Nevin Spence on Wednesday as he was laid to rest alongside his dad and his brother after a tragic accident at their family farm. He was, by all accounts, an Ireland star in waiting. He was also, at 22, a very young man with the world at his feet. May he rest in peace. SOCCER: Bit of a gaffe from the incoming Shamrock Rovers manager Brian Laws on RTE television on Monday night when he spoke about his new role with Shelbourne – just days after Shels had knocked the Hoops out of the FAI Cup. He did correct himself fairly quickly but I’m sure a few fans won’t let him forget it. GOLF: We may still be debating his nationality, but I’ll bet there isn’t an Irish golf fan out there who won’t wish Rory McIlroy well when he chases a $10 million jackpot in the FedEx Championship this weekend. And I’ll bet we’ll gladly claim him as Irish again if he wins it! GAA: As a self-committed fan of Donegal golf courses, I’m going to back the Ulster side to beat Mayo in Sunday’s All-Ireland football final. And I’d bet most of those same courses will be empty this Sunday afternoon! SOCCER: The English soccer writer and TV presenter Brian Woolnough died this week after a long battle with cancer. I worked with Brian for many years and he was a good guy from start to finish. ROBBIE Brady was a late call-up to the Ireland squad for the friendly against Oman last week but what an impact he made in the first half of his first Ireland appearance. It may take him some time to nail down a regular place with Manchester United never mind Ireland but this kid can play. And we will be talking about him for a long time to come. JOE Canning is, perhaps, the greatest hurler of his generation, so why the hell did he have a go at Henry Shefflin and accuse him of gamesmanship this week? All Joe did is damage his own standing in the game and give Shefflin the perfect excuse to show him up and win the All-Ireland hurling final replay on Sunday, September 30.